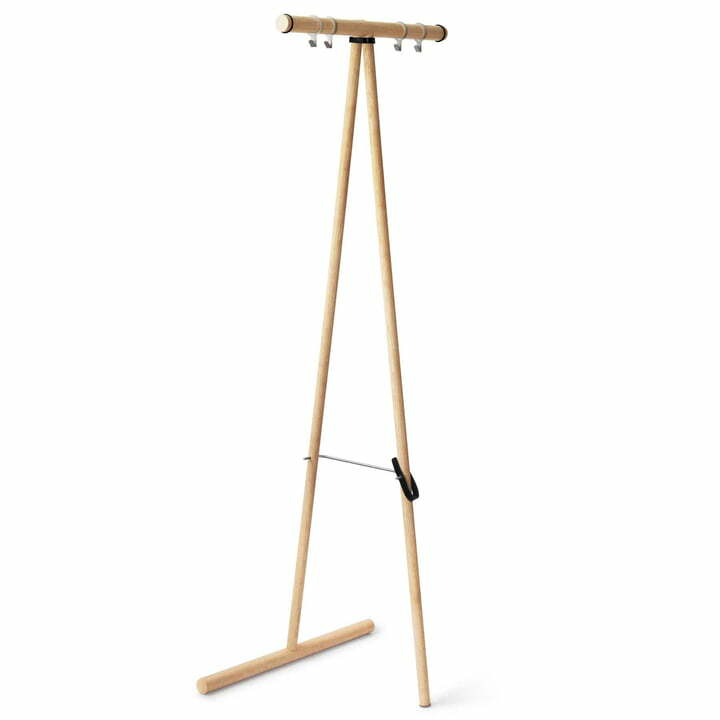 TimTom is a free-standing clothes rack from side by side, which is easily and quickly assembled and disassembled. Its advantages are proven in small rooms, since the low dimensions (unfolded H 151 x B 60 x T 44 cm) mean the coat rack hardly takes up space. Folded (H 152 x B 60 x T 6.5 cm), the TimTom hall stand is easily stored to save space when it isn’t needed. 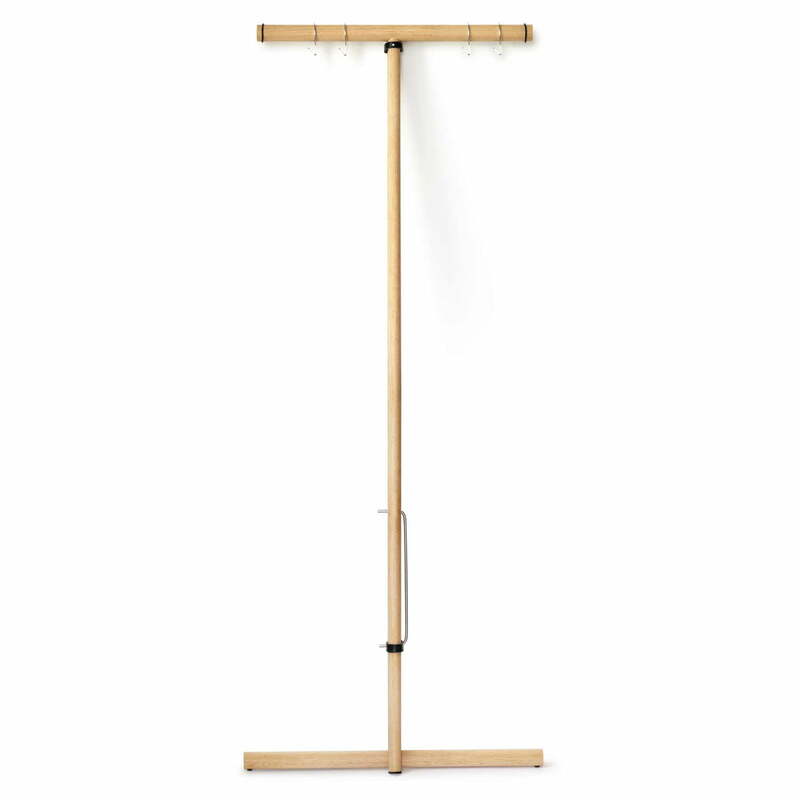 TimTom is suitable as a clothes rack for spontaneous guests, for every day or even as a leaning coat stand which can be unfolded. The simple design of TimTom also impressed the jury of the Red Dot Design Award in 2014 and the designer Benedikt Achatz can be proud of an ‘Honorable Mention’. side by side produces the coat stand from untreated oak wood and leather in the Caritas Wendelstein workshops. Four hooks made of powder-coated steel are included.